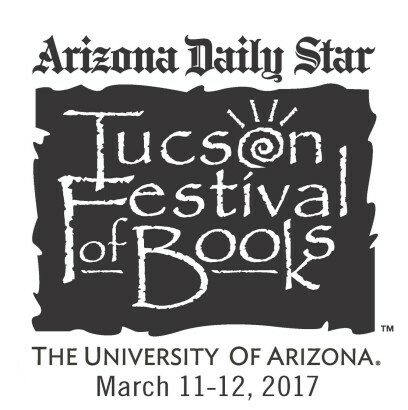 As in years past, MWA Southern California is delighted to be hosting a booth at the Tucson Festival of Books. This year’s festival will take place on Saturday, March 11th and Sunday, March 12th, and all MWA members, regardless of chapter affiliation, are invited to join us to sign and sell books to the more than 100,000 readers who are expected to attend. This is a fantastic opportunity to increase your visibility, expand your readership, and meet your fellow MWA members. If you would like to participate, please email Fred Andersen with your preferred day and time. There will be three two-hour slots per day: morning, midday, or afternoon. Depending on the popularity of the event, more than one slot may be available for each author. Note that we will be obtaining a Tucson business license so that members can sell their books directly from the booth. Please also be in touch with Fred if you would like to volunteer for setup, tear-down, or general booth management. Any additional help would be more than welcome. There are a limited number of slots available, so sign up today!